ROME — The United States is urging allied nations to help deal with the growing number of foreign fighters that are being held by the U.S.-backed Syrian Democratic Forces, saying the militants should be turned over to face justice in their home countries. 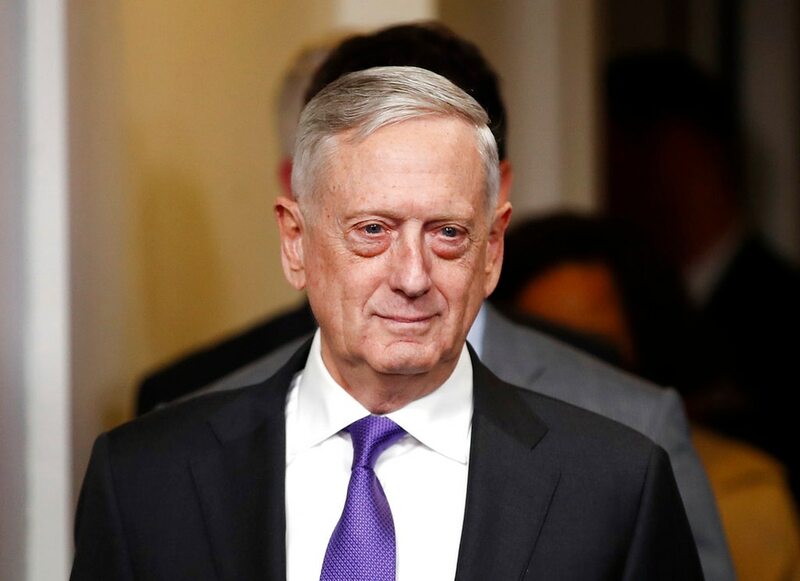 U.S. Defense Secretary Jim Mattis is expected to raise the issue during a meeting in Rome this week with other members of the coalition that is fighting the Islamic State group in Iraq and Syria. The SDF is currently holding thousands of ISIS detainees, including hundreds of foreign fighters from a number of nations. The issue became more prominent in recent days, after the announcement that the SDF had captured two notorious British members of an Islamic State cell who were commonly dubbed “the Beatles” and were known for beheading hostages. U.S. officials have said putting the two in the Guantanamo Bay, Cuba, detention facility is not an option. And British leaders have suggested they don’t want the two men returned to Britain. Speaking to reporters traveling with Mattis to Europe, Wheelbarger said the key goal is to keep the fighters off the battlefield and unable to travel to other cities. U.S. military officials have confirmed that El Shafee Elsheikh and Alexanda Amon Kotey, who grew up in London, were captured in early January in eastern Syria. U.S. officials have interrogated the men, who were part of the ISIS cell that captured, tortured and beheaded more than two dozen hostages, including American journalists James Foley and Steven Sotloff, and American aid worker Peter Kassig. Hundreds of foreign citizens fought alongside ISIS as it took control of large parts of Syria, raising concerns that they will bring terrorism with them if they ever return home. The legal issues are daunting. Most nations, including the U.S., would be unwilling to take back detainees unless they have the evidence to prosecute them, and that often is difficult to collect in such battlefield captures. While officials say that Guantanamo is not a viable option for the two British insurgents, questions remain about any potential use of the facility. President Donald Trump issued an executive order last month that keeps the prison open, prompting speculation that additional detainees could be brought in. A number of allies, however, have openly criticized the use of Guantanamo, where detainees have been held for years without trial. And experts have argued that the facility serves as a recruiting tool for extremist groups. Former Islamic State hostages and families of the group’s victims are saying that Elsheikh and Kotey should be brought to trial. French journalist Nicolas Henin, who was held by the men and their comrades for 10 months, said he wants justice, and that the men should be tried in Britain, not shipped to Guantanamo Bay, because revenge will just breed more violence. 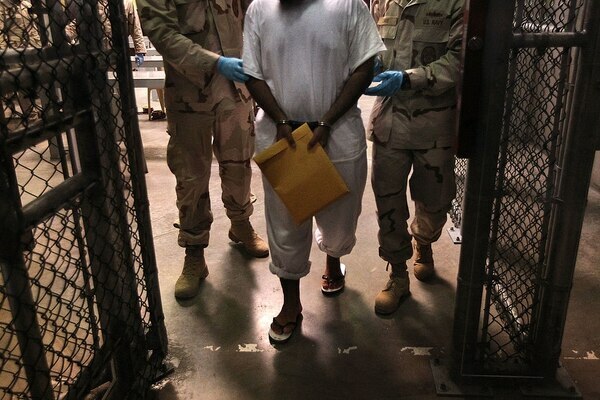 “What I’m looking for is justice and Guantanamo is a denial of justice,” he told The Associated Press. Wheelbarger said the detainee problem is just one of the issues the defense ministers will discuss during the meeting. The Islamic State group has been largely defeated in Iraq and is near destruction in Syria, where pockets of insurgents still operate along the Euphrates River, near the Iraq border and in other scattered locations. As a result, the coalition is shifting from an emphasis on combat operations to stabilization. “There are numerous questions about what’s next,” said Mattis. He said that will include ensuring that explosive devices are found and eliminated, getting schools re-opened and making sure clean water is available.